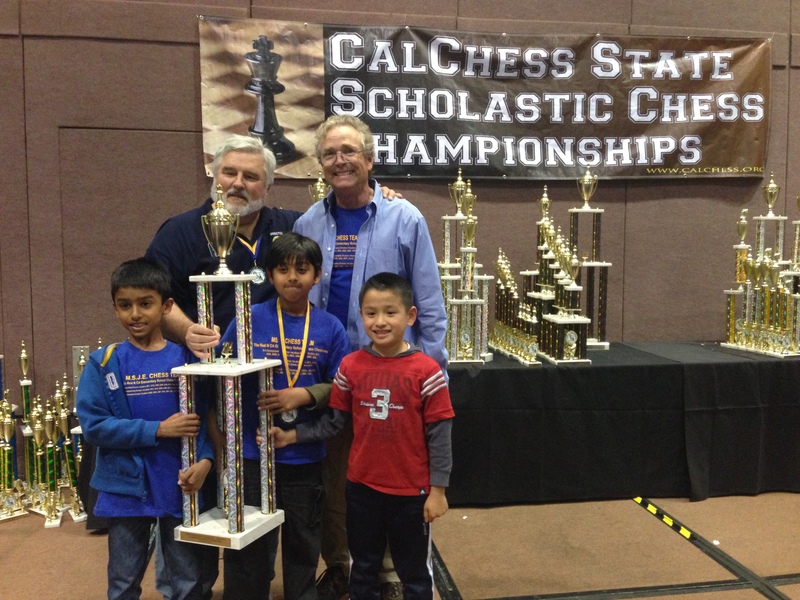 It is always my great pleasure to share the stories and achievements of California’s most outstanding young chess talents. 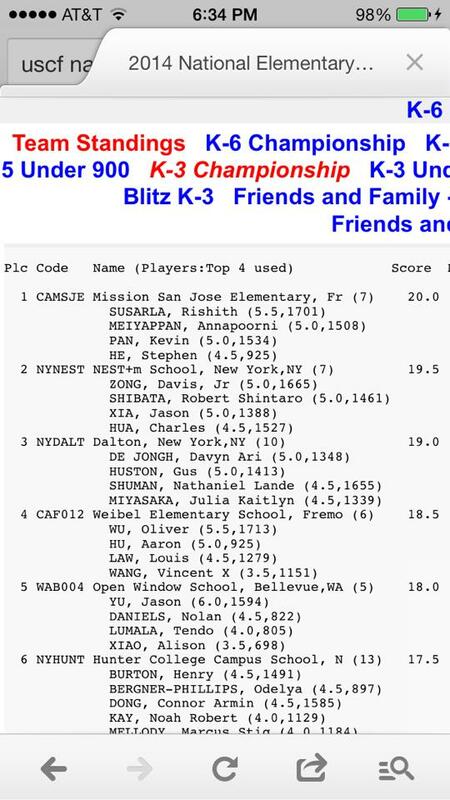 Below is a remarkably brilliant game played by Mission San Jose Elementary School’s own Kevin Pan in route to a National Championship title both for Kevin and the MSJE Chess Team. 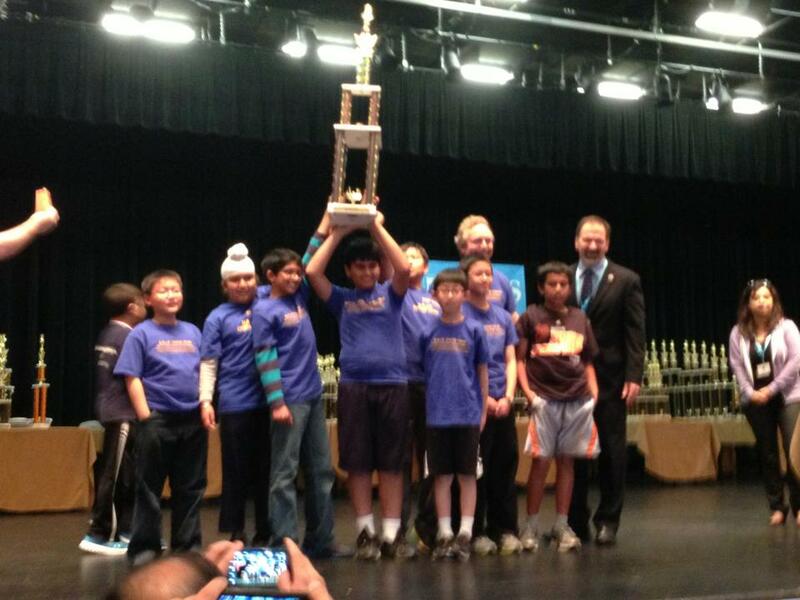 Fremont’s MSJE Wins its Third National Elementary Chess Championship! 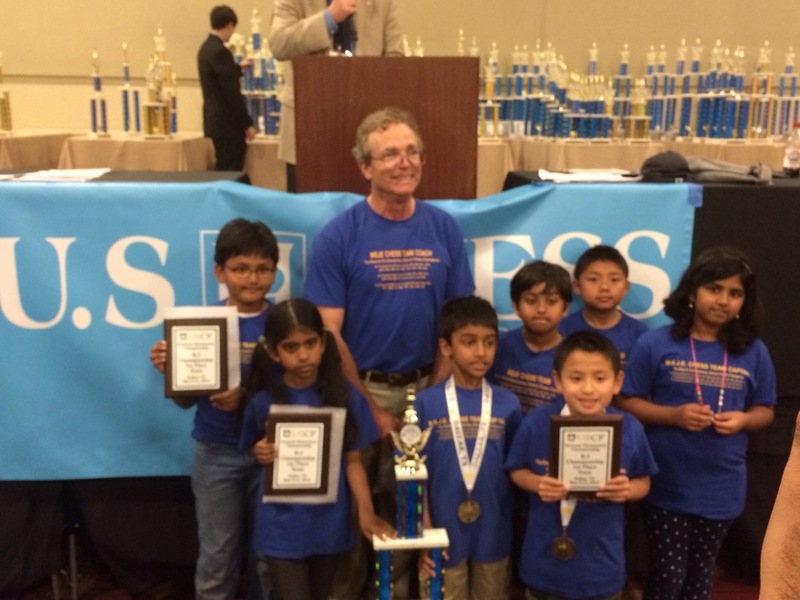 Mission San Jose Elementary School hasn’t just won a third National USCF K-6 Championship in just seven years. They’ve become a scholastic chess dynasty! 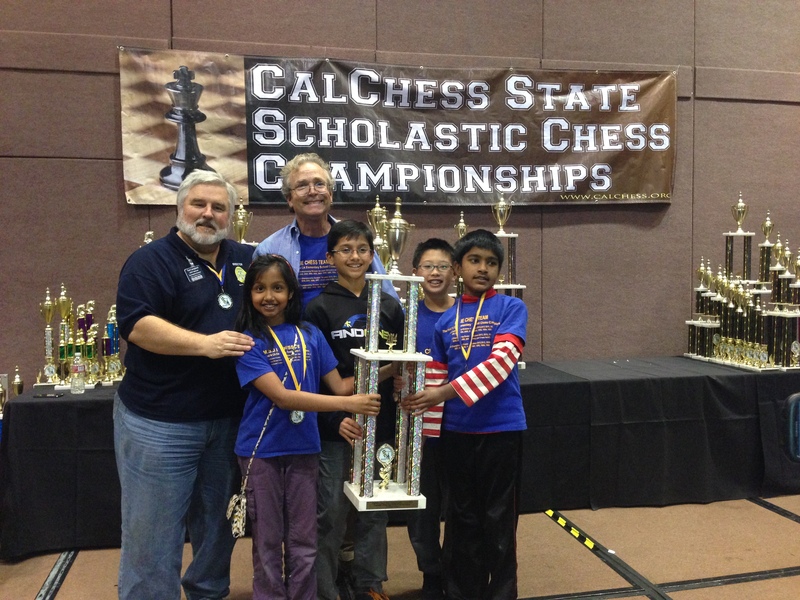 And if ever a dynasty needs an icon, Head Coach Joe Lonsdale can fill that role quite capably for the MSJE Chess Team. 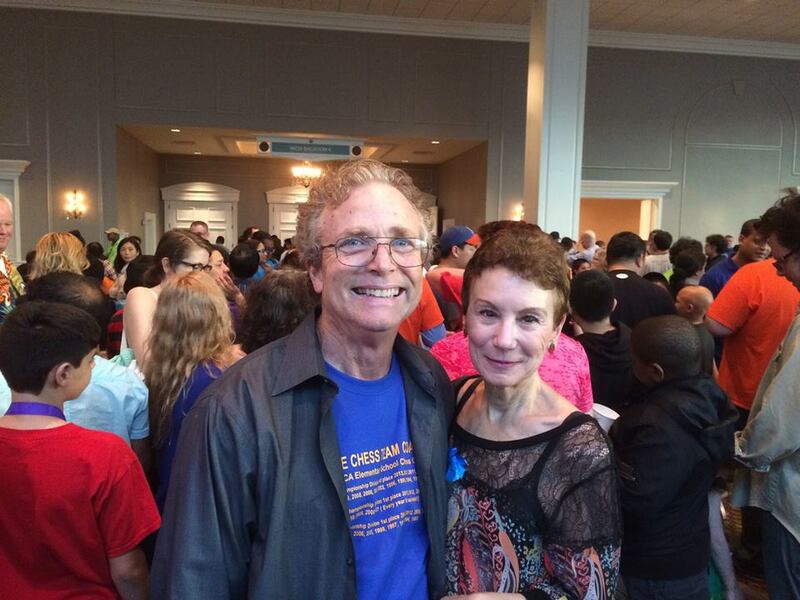 Head Coach Joe Lonsdale with his beautiful wife Donna DePietro Woods. Perhaps you haven’t heard of Joe Lonsdale yet but he is worthy of being compared with such great coaches as Mike Krzyzewski, Gregg Popovich, or Phil Jackson. 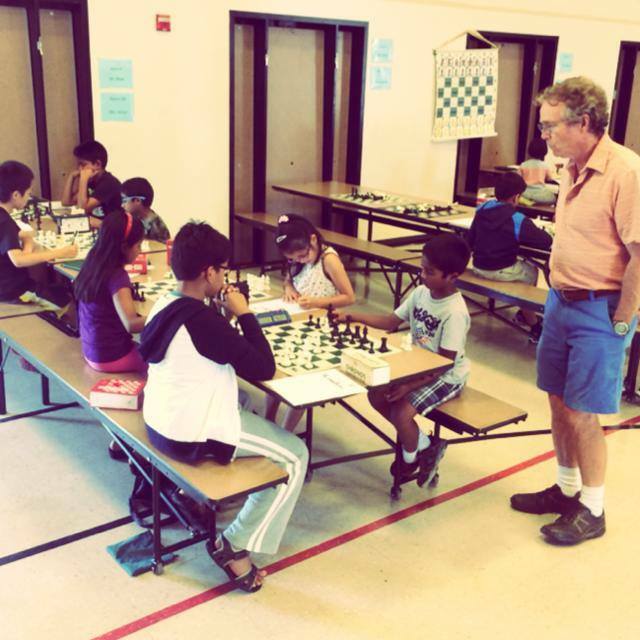 Coach Joe, who originally established the MSJE Chess Team for his sons back in 1990, has done much more than teach chess. 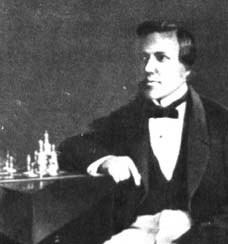 He has created a model for running a successful scholastic chess program that is constantly being copied but never quite duplicated. 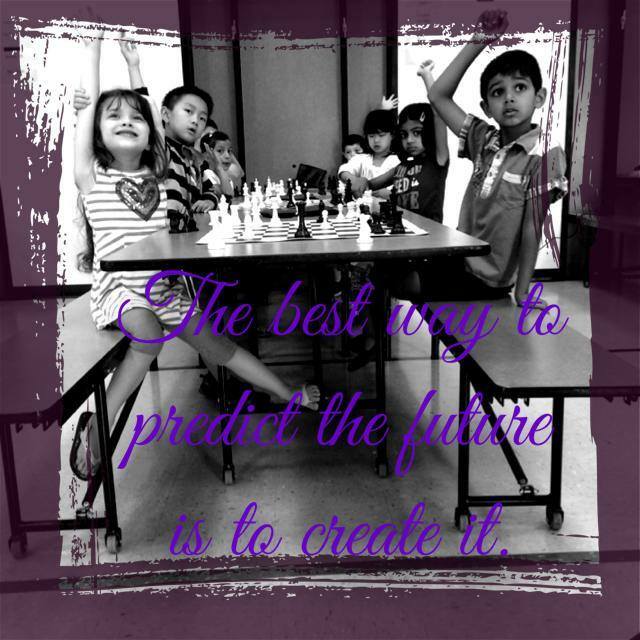 Coach Joe’s approach to teaching chess isn’t rocket science. His coaching staff takes the time to thoroughly analyze every child’s game every Monday night as well as at all major chess events. Many coaches do something similar but lack the consistency and commitment to keep it up all year let alone for twenty-five years. Every great coach needs more than his/her own skill and dedication to win national championships. It is, of course, the players who actually win the titles through competition. And MSJE had quite the talented bunch of kids playing in the Elementary Championship Section. 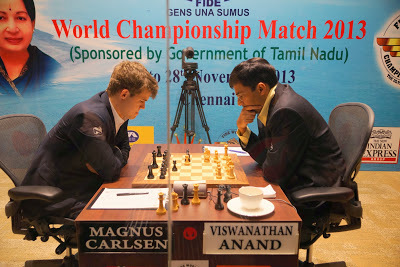 Teammates Kavya Sasikumar and Annapoorni Meiyappan. 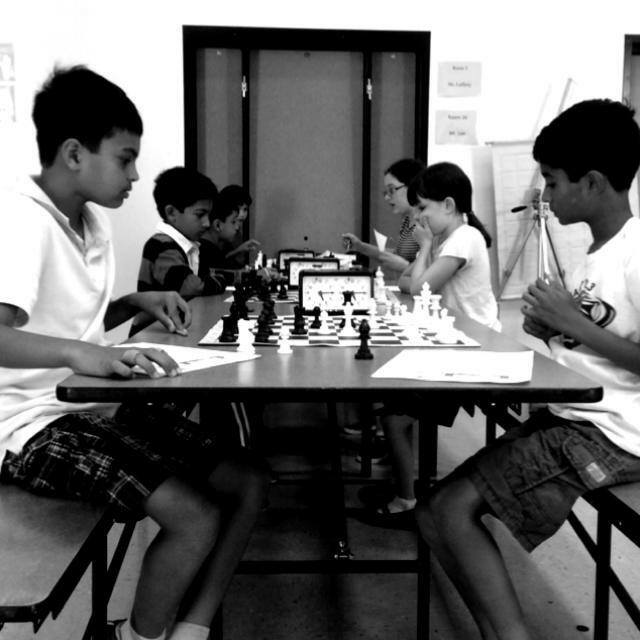 The battle at the chess boards for these kids was difficult and in the end they received top honors by the slimmest of margins over I.S. 318 from New York. 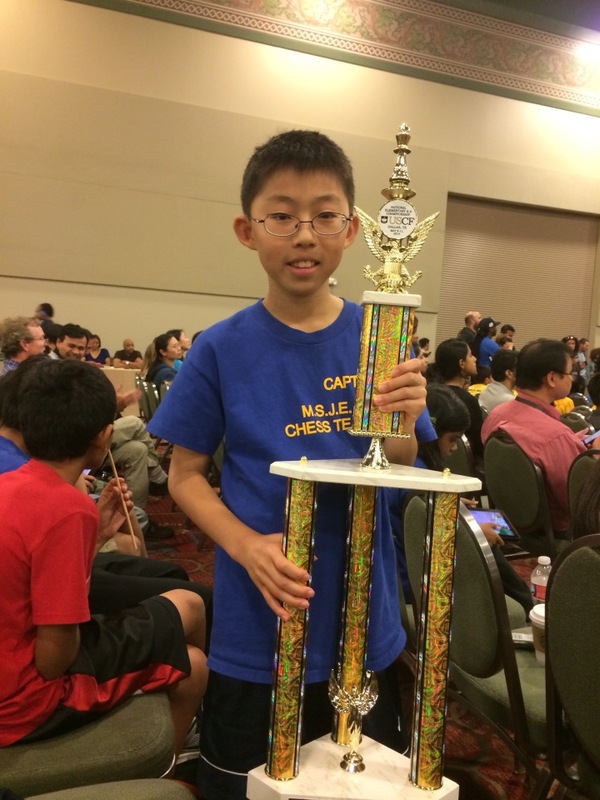 Sixth grader David Pan lead the charge by finishing tied for fifth place overall with an impressive 5.5/7. 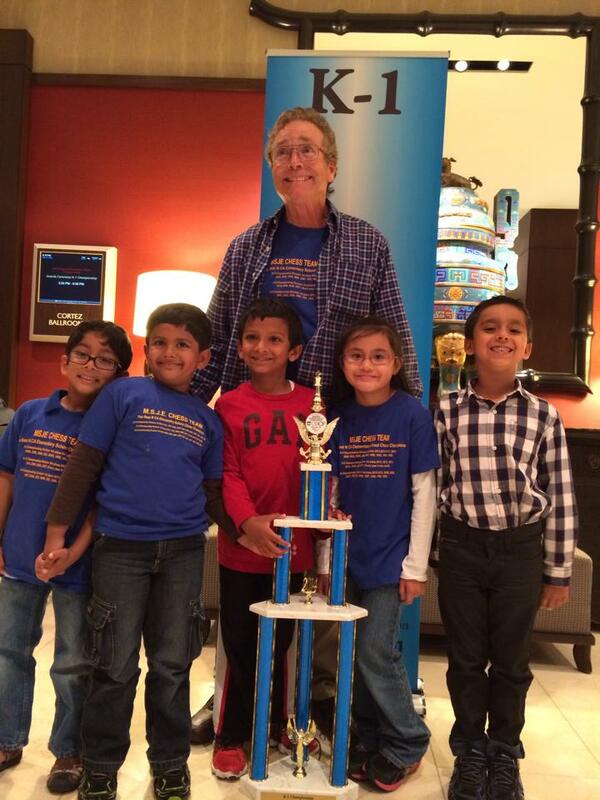 Super talented fourth grader Annapoorni Meiyappan finished only a half point behind David with 5/7. 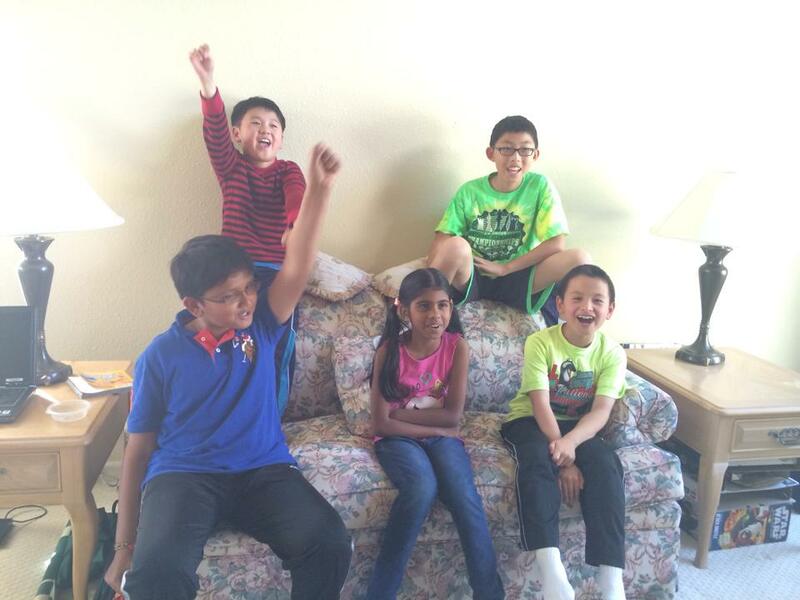 Next was the fourth grader Rishith Susarla with 4.5 and fifth grader Kavya Sasikumar with 4. 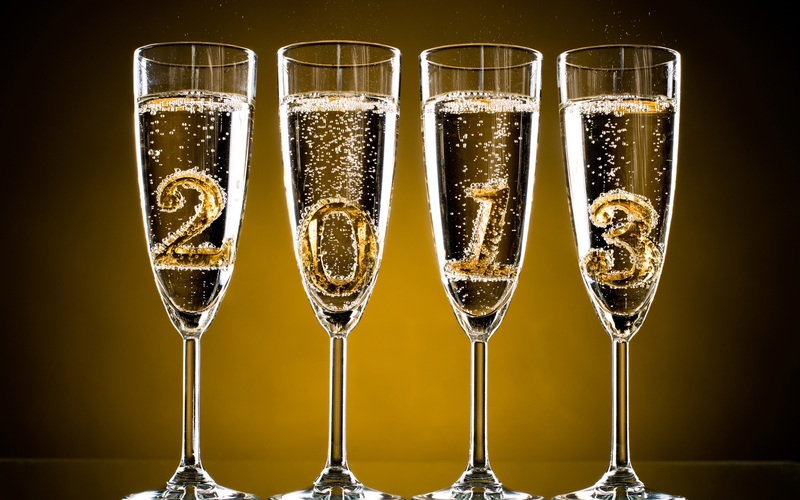 For now, it is once again time to celebrate a National Championship in Fremont, California. The victors can revel in their success. 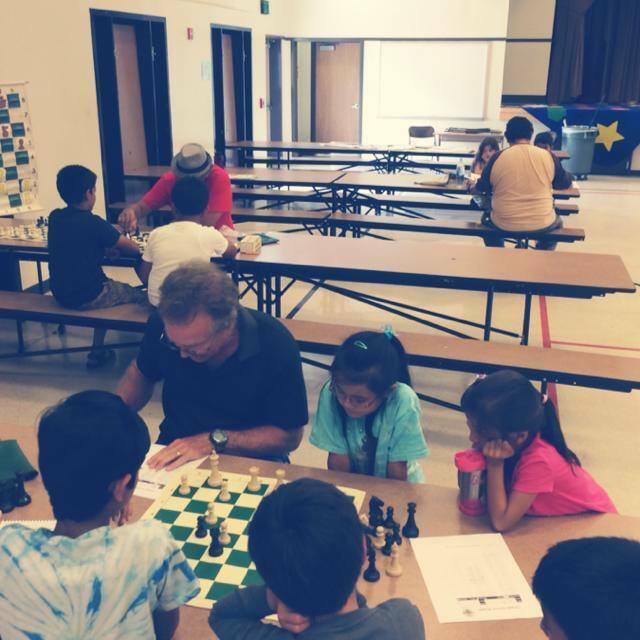 Soon after the party finishes, the kids will be coming to the Fremont Summer Chess Camp at, where else except for their own school’s gymnasium to hone their chess skills. Since only one of MSJE’s top scorers is graduating this year, you can bet they will be a strong favorite to repeat next year. 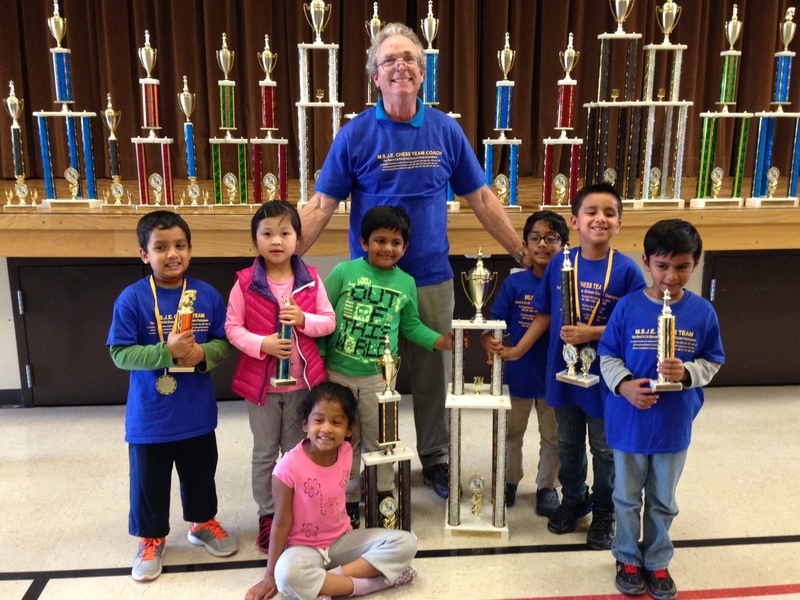 Everybody was a winner at the Breast Cancer Research Chess Tournament in Fremont. 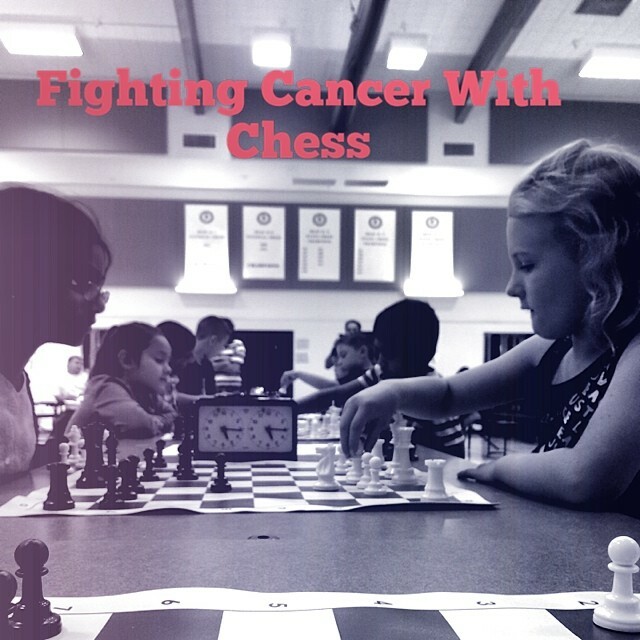 On Saturday May 3, 2014, scores of children attended the Annual Breast Cancer Research Tournament held by the Torres Chess and Music Academy. In addition to the standard trophies and medals that are ubiquitous at scholastic chess tournaments, all attendees were treated to fun activities by Steve and Kate’s Camp who was the corporate sponsor for this event. The site for the Breast Cancer Research tournament was the campus of Mission San Jose Elementary School in Fremont, California. 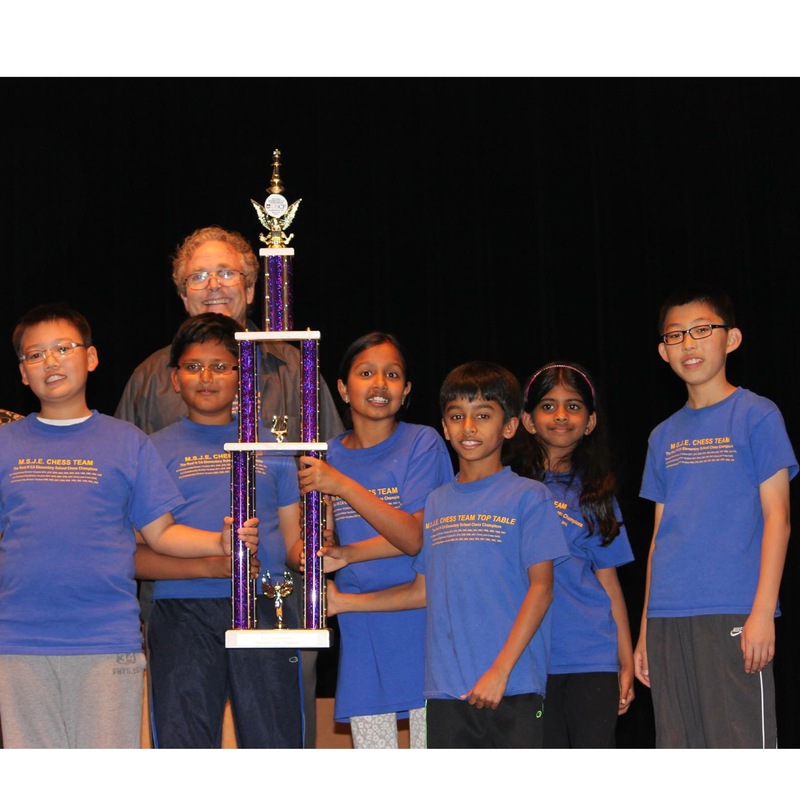 MSJE is the home of the 2013 National Elementary Chess Champions as well as the host school for the famous Fremont Summer Chess Camp. 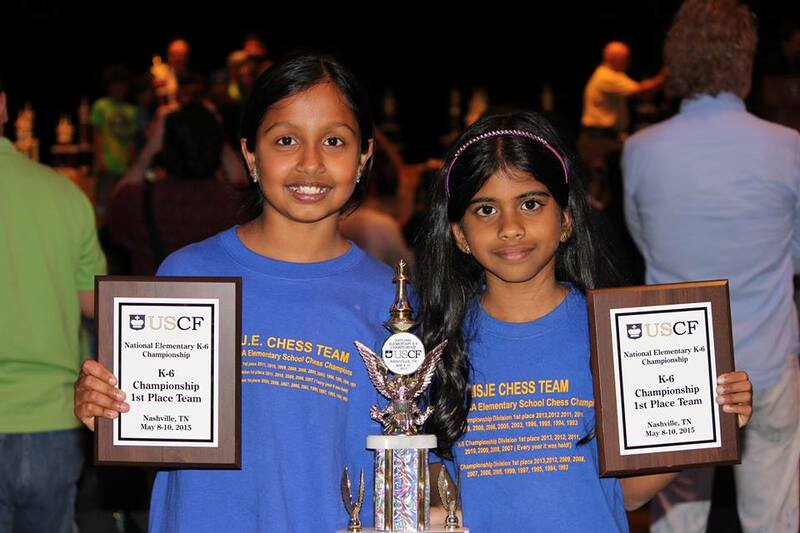 Students from MSJE didn’t let their national titles dissuade them from attending a local chess tournament that raised money for a great cause. Many MSJE students were in attendance proudly wearing the “Blue Team Shirts” which list the titles from a State Championship Dynasty that spans several decades. 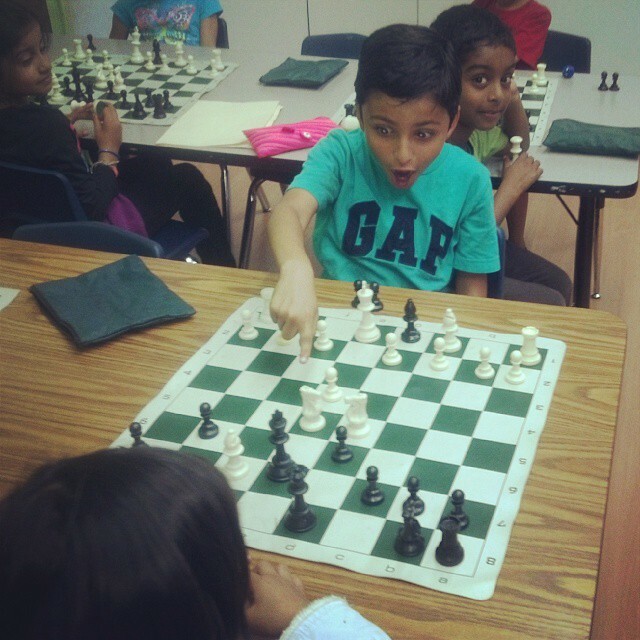 For more information on this tournament, MSJE Chess and the Torres Chess and Music Academy, please visit http://www.ChessAndMusic.com.